A TURNING POINT – THE JOKER’S WILD – A vision quest with Herb O’Brien. 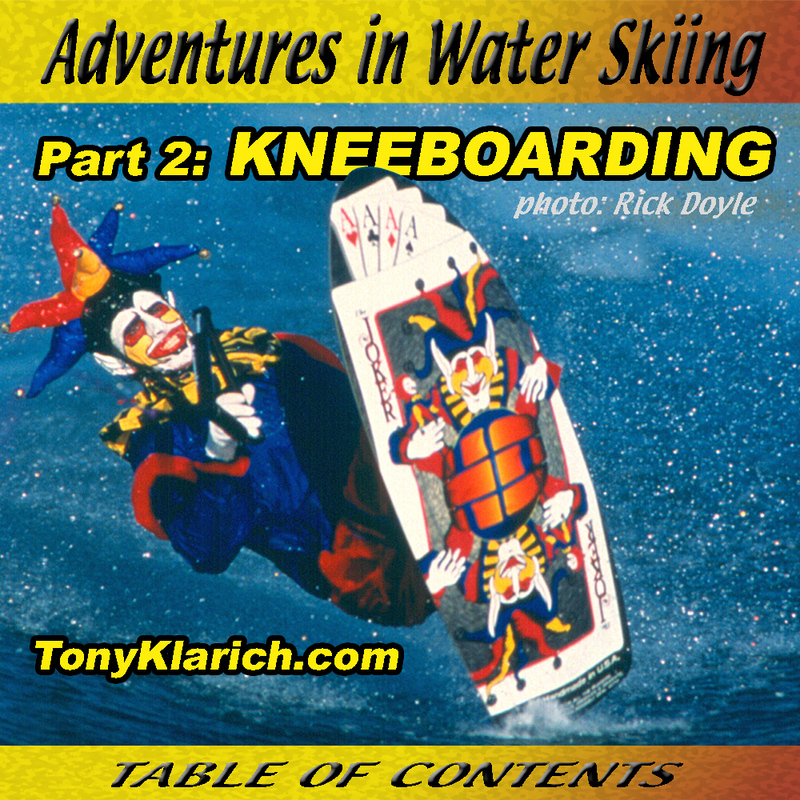 1: THE HISTORY OF THE KNEEBOARD – Waves, discs, and dreams. 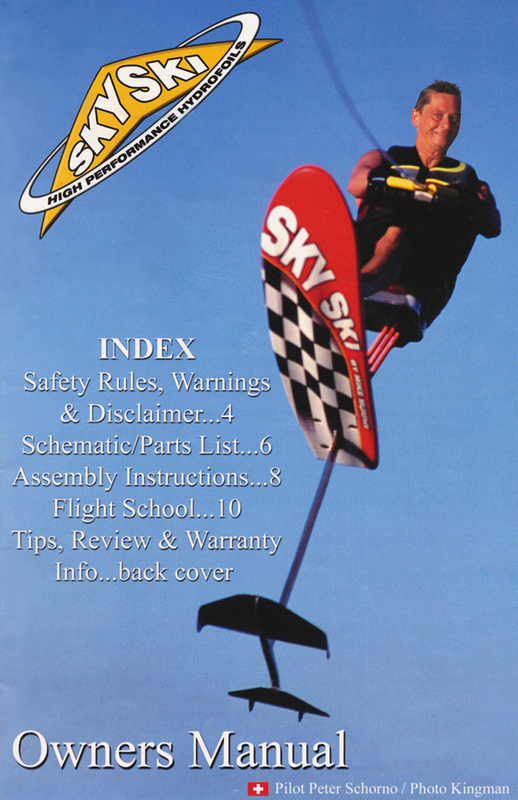 2: KNEE SKI – The first production kneeboard by Mike Murphy and Bud Hulst. 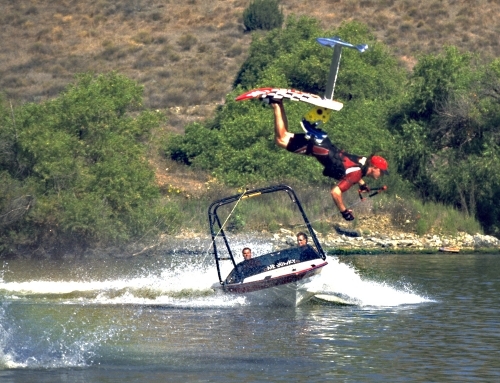 3: GLIDE SLIDE – John Taylor creates the modern day plastic and foam filled board. 4: TUNNEL BOARD – A thin profile performance board by Andy Remy and Mike Murphy. 5: KNEED FOR SPEED – 1/4 mile drags at the Long Beach Marine Stadium. 6: HYDROSLIDE – Danny Churchill brings boards to the masses. 7: SKI MASTER – Established ski companies jump on board. 8: MAGIC TIME – The O’Brien Black Magic turns up the heat. 9: MAIL IT IN – Magazines and mail order companies fuel the fire. 10: RIDING THE WAVE – Organized competitions drive new tricks & create kneeboarding’s first stars. 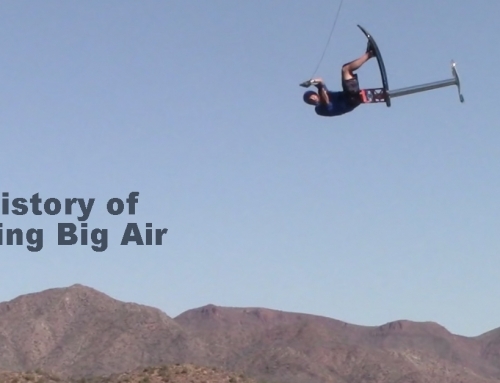 11: AERIALIST – Designing HO’s first kneeboard for Herb O’Brien. 12: WIN SOME, LOSE SOME – Getting lucky, getting screwed: it all evens out. 13: ROAD WARRIOR – Trippin’ near and far. 14: DIGITAL DRAMA – One last big move for the digital frontier. 15: SCARED STRAIGHT – Fear, coincidence and premonition. 16: THIN IS IN – Designing the HO Joker. 17: SWITCHED STANCE – Wakeboarding takes the lead. 18: A NEW DIRECTION – Three guys go bigger. 19: THIS IS THE END – OR IS IT? – Kneeboarder Frankie Panno redefines style. Some Rights Reserved. The TEXT ONLY of this publication MAY be used or reproduced in any manner whatsoever without written permission. All use MUST be accompanied with the attribution: “From Adventures in Water Skiing: Part 2, Kneeboarding. 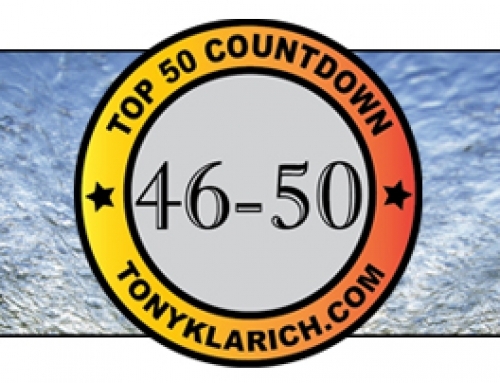 Used with permission by http://tonyklarich.com”. TEXT ONLY is licensed under creative commons agreement (CC BY 3.0). The images (photos) MAY NOT be used, uploaded, reposted, or reproduced in any manner whatsoever without written permission. When I first announced this project a friend asked why anyone would be interested in reading a book about me. Now I’ll have to admit that did hurt my feelings, but I thought hard about it for a couple of days, and came up with what I think is a good answer. My “glory days” in skiing corresponded with the explosion of watersports in the 1980s and 90s, including the creation and rise of hot dogging, kneeboarding, wakeboarding, and hydrofoiling. I had a front row seat to the exciting developments of each new sport as a pioneer and top competitor. Plus, I’ve already written hundreds of articles, and have a collection of thousands of photos and videos. The point is that my personal story is also the story of these sports, how they developed, and how they relate to each other in the bigger picture. The longer format of a “book” has allowed me to dig deeper into the history than ever before. We’re far enough away from the rise of kneeboarding to get some historical perspective, but not so far to have lost touch with the innovative personalities directly responsible for creating a whole new way to ride. The recent media developments have also allowed me to present Adventures in Water Skiing in a brand new way. To my knowledge, this is the first interactive electronic book to document the history of waterskiing. Anyone can download it instantly for FREE. This interactive ebook is embedded with dozens of photos and scores of links to magazine articles, timely websites, and classic videos. On a final note, it is very important to me that this body of work stands as a respected historical record for water skiing. I have worked extremely hard to get the facts straight, and tell each part of the story with as much research and insight as possible. After listening to “The Wikipedia Revolution” by Andrew Lih, the importance of documentation was impressed upon me, and because of that you will now find numbered endnotes are a new part of this series. 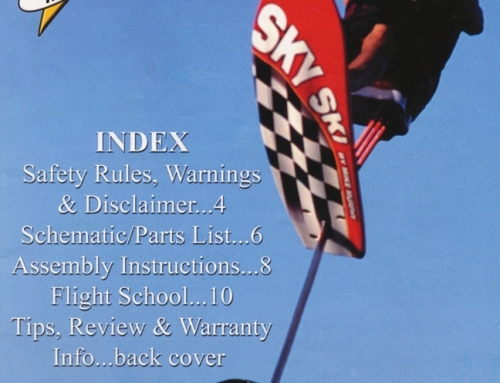 I spent hundreds of hours going back through 25 years worth of ski magazines to reference claims when appropriate. I hope that future generations who read these words can find a source of credibility, insight, and of course, entertainment. My uncle, Mike Murphy: he led the way and I followed. My grandmother, Mary Murphy: keeper of the family images and ageless inspiration on the water. Herb O’Brien embraced my unique abilities and took me for a wild ride. Carole Lowe for her invaluable research assistance at the Water Ski Hall of Fame. Al Van: proofreader extraordinaire and always a “Huge” help. Terry Dorner for his help with critical image acquisitions. Mom, Dad, and my wife Shonna: endless support to follow the dream. To the unsung heroes and helpers, I thank you all! I have and will continue to make every effort to create a story that reflects how water skiing has developed, especially in the disciplines of hot dogging, kneeboarding, wakeboarding, and hydrofoiling. This book is the result of thousands of hours of research. It involved reviewing hundreds of water skiing publications, conducting numerous interviews with industry insiders, and having access to the extensive research library at the Water Ski Hall of Fame. I created extensive timeline with references for each discipline. Every effort has been made to make this book as complete and accurate as possible. However, there may be mistakes, both typographical and in content. 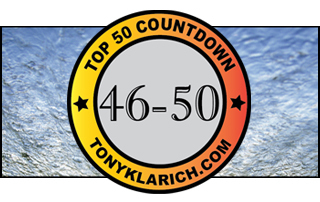 If I missed something important (storyline / timeline / photo / link), please let me know through my website: http://tonyklarich.com. The non-printed nature of this document will allow me to make corrections and improvements, and then upload the new edition.